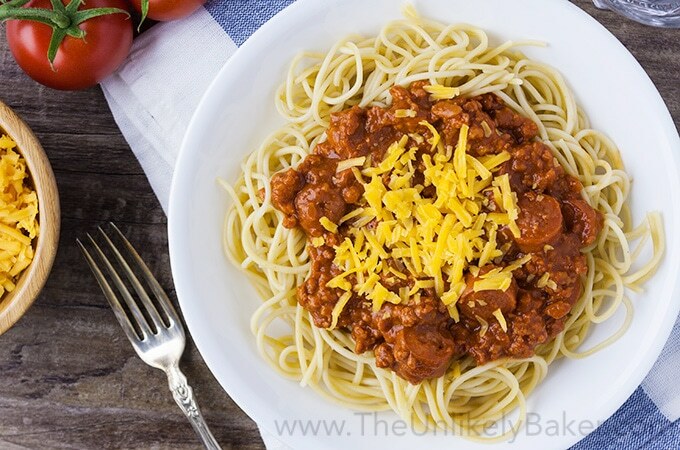 Filipino Style Spaghetti – Sweet and Salty! Filipino style spaghetti is unlike any spaghetti you’ve had before. It’s sweet, made with banana ketchup, topped with a mountain of sharp cheddar cheese and has hotdogs! Get ready to spaghetti, Filipino-style (yeah I don’t know what that means either lol). Just like that, Thanksgiving (American and Canadian) is over and our brain automatically goes on Christmas mode. Filipino spaghetti is one of my all time favourite things and it typically makes an appearance on our holiday menu (or any time we have a celebration). 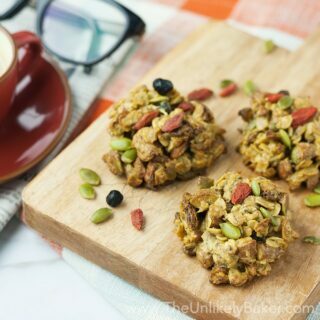 And I’m so happy to be sharing this recipe with you. 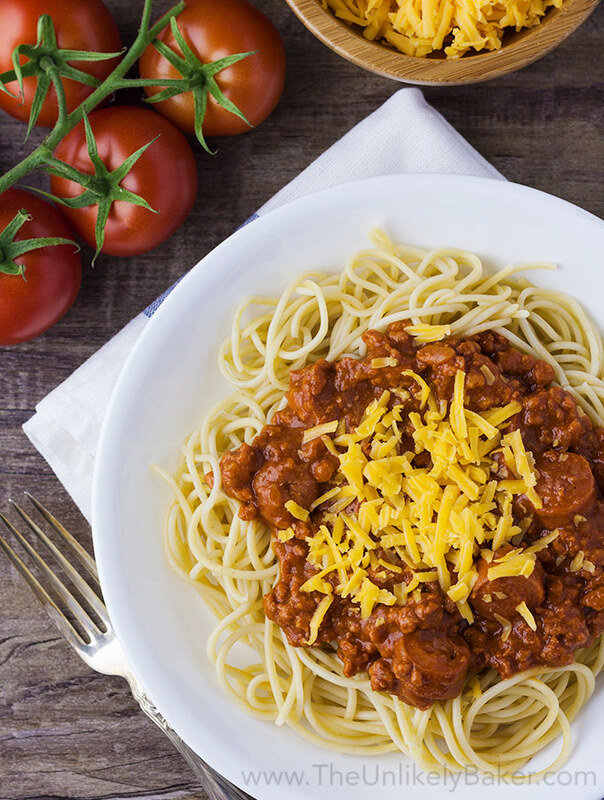 What is Filipino spaghetti and what makes it sweet? Unlike Italian spaghetti which is more on the acidic side because of all the tomatoes, Filipino spaghetti is sweeter; it actually has sugar in the list of ingredients. , anyone?) with many considering tomato ketchup too sour. Filipinos are great at improv and since beef is expensive, we use the cheaper, more readily available hotdog to make the dish meatier. What is Filipino style spaghetti sauce? Certainly unique but very delicious! What’s not unique is how to cook it. It’s easy and straightforward as can be. Fry the hotdogs until light brown around the edges. Remove from pan and using the same pan, sauté garlic and onion until translucent. Stir in ground beef and cook until the beef is browned. Add back the hotdogs. Plus the tomato sauce, tomato paste, banana ketchup, heavy cream and sugar. Season with salt and pepper. Stir to combine. Cover and let simmer for 15 minutes. 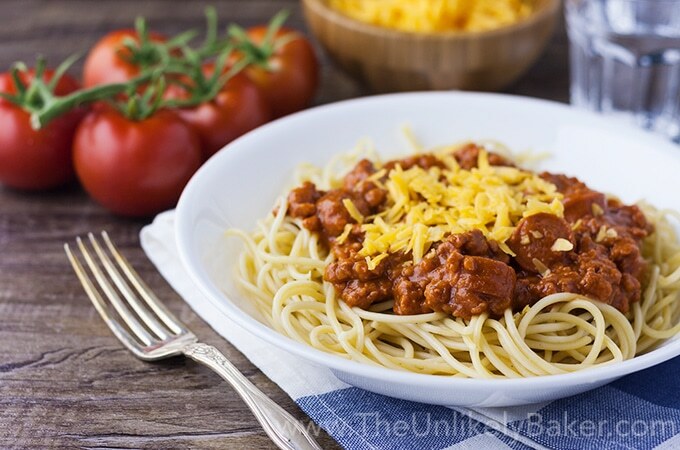 Serve meat sauce on top of cooked spaghetti. Sprinkle with a generous helping of cheddar cheese (the more cheese, the better!). Filipino spaghetti is delightfully sweet and salty. Personally, I think Jollibee spaghetti is a really great example of how it should be done (a close second would be the spaghetti from Makati Supermarket of the 80s) but every family has its own take on the dish. Much like how you’ll find a million and one variations of adobo. What’s common is its place on our tables. Whether it’s Noche Buena, Christmas Day, or New Year’s Eve; Father’s Day, someone’s birthday or graduation, you’d most likely find spaghetti being served. It’s a great weekday meal too. Who says everyday can’t be special? Are you having people over? These Filipino dessert recipes are always a hit. 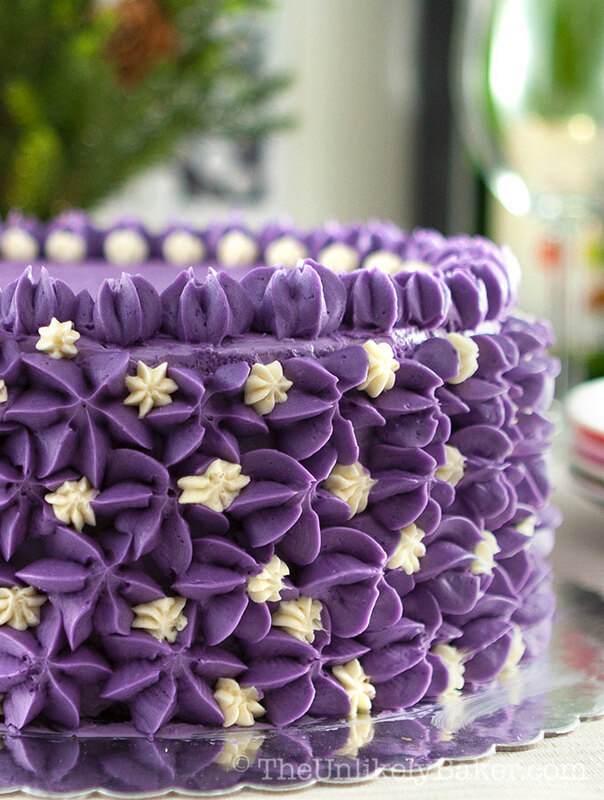 Ube cake or Filipino purple yam cake is not only stunning; it’s also delicious. 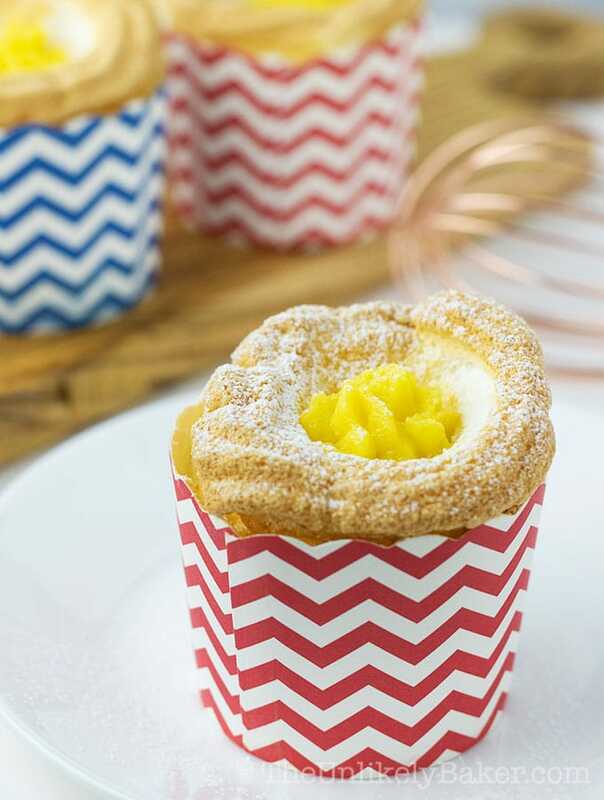 Brazo de Mercedes cupcakes are pretty and scrumptious too. 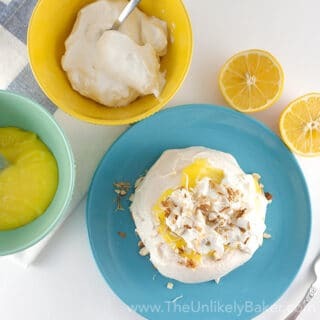 They are easier to make than traditional Brazo de Mercedes but just as delicious. Not in the mood to bake? 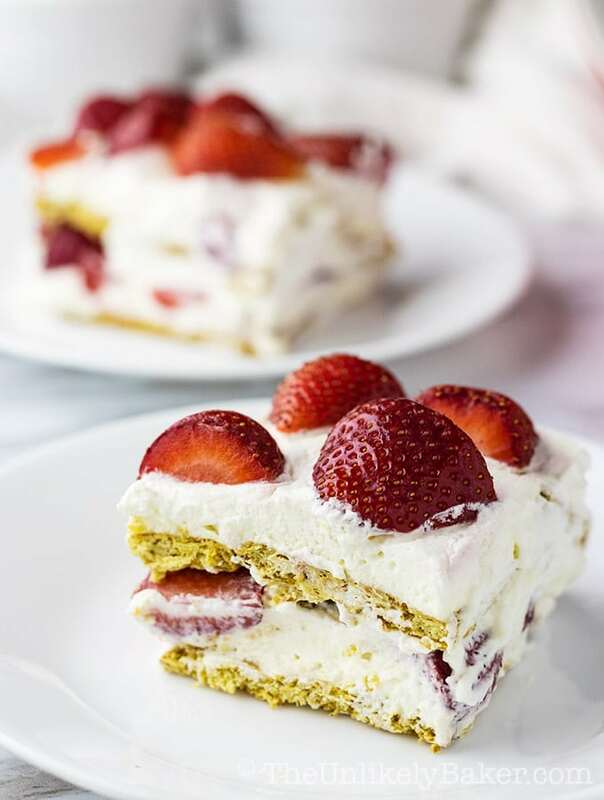 This strawberry refrigerator cake (or the Filipino version of strawberry icebox cake) is the dessert for you. Filipino Style Spaghetti - Sweet and Salty! Filipino style spaghetti is unlike any spaghetti you’ve had before. It’s sweet, made with banana ketchup, topped with a mountain of sharp cheddar cheese and has hotdogs! Using a large saucepan on medium heat, fry hotdog in oil until lightly brown around the edges. Remove from pan. Using the same pan, sauté garlic and onion until translucent. Stir in ground beef and cook until the beef is browned (5-6 minutes). Add the hotdogs, tomato sauce, tomato paste, banana ketchup, heavy cream and sugar. Season with salt and pepper. Stir to combine. Cover and let simmer for 15 minutes. 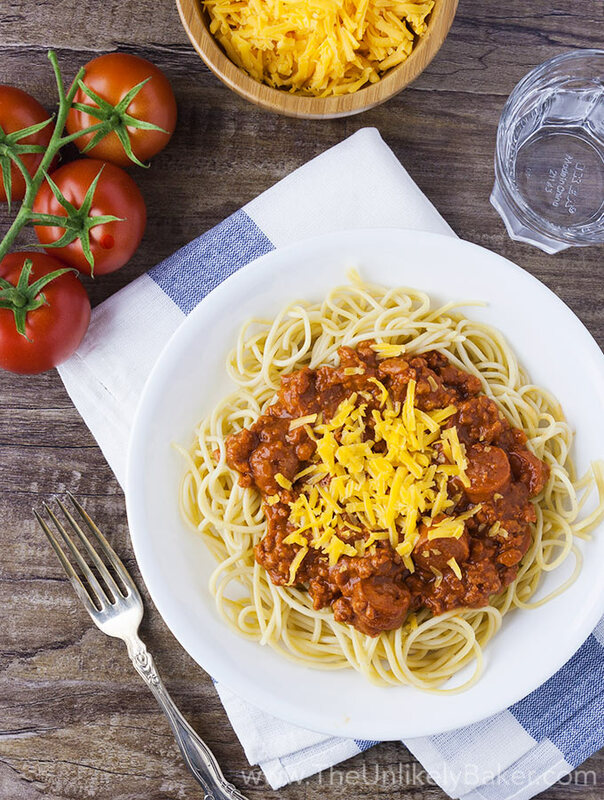 Serve meat sauce on top of cooked spaghetti. Sprinkle with a generous helping of cheddar cheese. When tasting the meat sauce on its own, it will taste very sweet. So you might end up over-seasoning it with salt to offset the sweetness. A better way is to taste the sauce with some spaghetti. It will taste sweeter than your usual bolognese - what you’re looking for is a nice sweet and salty balance. Did you make Filipino style spaghetti? I’d love to hear from you in the comments section below. Sounds like an interesting take on our traditional spaghetti! Love that you made it sweet, I’m sure it’s a hit with the kids! I love fusion cooking, and this sounds wonderful. Nothing like mixing up some cultures for great flavours. 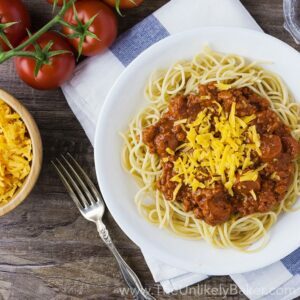 Yummmm…I love spaghetti pasta! I will definitely try Filipino style pasta as the recipe looks super easy and delicious. Thanks for sharing! My family eat a lot of pasta. This Filipino style spaghetti looks so delicious. Wow this pasta looks SO yummy! 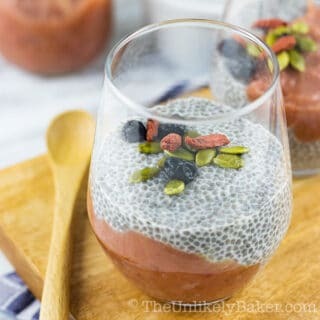 I would love to make this for my fiancé! I love pasta and that spaghetti looks super delicious! 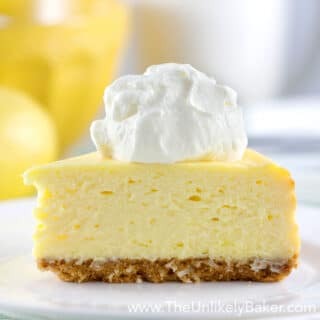 I need to try making this at home with your recipe. Never heard of this before. The banana ketchup sounds very intersting, i really want to try that. Hot dogs in spaghetti, I am not sure about that. May have to make it just because. I’m always on the lookout for new cuisines. I haven’t tried Filipino style foods but I’d love to experiment with the different ingredients and flavors. Can you use anything other than hot dogs? I don’t think hubby would go for it. I would love just to make it for myself. Hi Marisa! Perhaps you can try sausages? That’s very interesting and looks so good. I have never eaten FIlipino style spaghetti before. I love trying new things so i’m pinning this for later. Filipino food and Mexican fare have so much in common, this pasta sounds amazing. In Mexico we like sweet and salty combinations in many dishes. My family was used to prepare spicy pasta using pico de gallo as the base. Hi Adriana! I was just thinking that. A lot of our food even have similar names. Your spicy pasta sounds delicious! This sounds amazing and something that my entire family would enjoy! Although, I’ve never heard about banana ketchup before, but I do love sharp cheddar cheese!! I love Filipino spaghetti! My lola makes it all the time. I would love to surprise her by making it for her. Thanks for the recipe. Banana ketchup?? As someone who isn’t too fond of the acidity in tomato ketchup, I can only imagine how delicious this sweeter version would be! What a fun, easy meal for the whole family- definitely makes me want to look up more Filipino cooking and flavor profiles. Sometimes called banana sauce 🙂 And yes, definitely sweeter than tomato ketchup! This recipe sounds so delicious! Can’t wait to give it a try this weekend. Thanks for sharing– I’m sure it will be a hit! This sounds so interesting. I wouldn’t have thought of using hot dogs for the meatballs. And I would be curious about the sauce there being sweeter and less acidic. Its very interesting to read how different countries have their own version of dishes and how different the taste and flavours are. Filipino Spaghetti is always my fave kind! Always reminds me of family and this is what I always make for my own family now that I’m a mom. That’s is for this!!! oooo we love pasta and spaghetti in this house! This looks like a great adaptation of a traditional classic that we will have to try! This looks so yummy I’m always on the lookout for a good pasta recipe! I’ll try out your recipe it looks delicious and really simple. This is my favourite! My daughter has made us all to love it too. I thought spaghetti was an Italian dish only. Didn’t know about the Filipino version of it. Would love to try out the recipe. Thanks for sharing. Oh, this recipe looks amazing. Such a better option than plain old spaghetti. I think I can actually do this one! As a Greek I love pasta but I haven’t really tried Filipino cuisine. I’d love to be adventurous though and try something different! Wow, this sweet and salty spaghetti looks delicious and I’m sure my son would love it . Shall make it this weekend. I gotta try your recipe as I just usually rely on ufc or del monte spaghetti sauce. Your recipe seems perfect with the salty Filipino eden cheese! What specific kind of hotdog do you use? Too bad there are no red hotdogs here! Hi Trish! We buy Filipino style hotdogs at the Asian supermarket. I think they’re called Pinoy Delight or something?? Yeah too bad there’s no Purefoods hotdogs here!! This is such a cool idea. I’d like the change of pace from our usual pasta dishes. The sweetness might be nice. My kiddos and I love all things pasta! 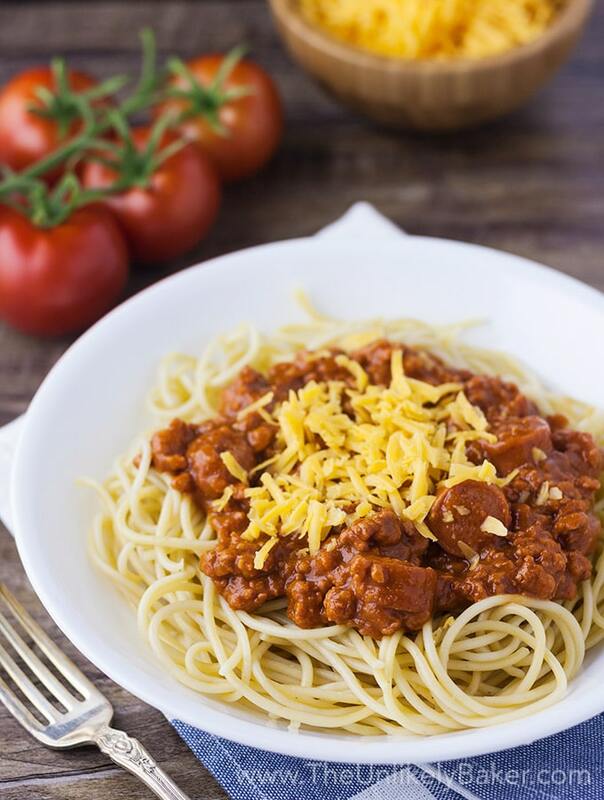 This Filipino style spaghetti sounds like a delicious version of the classic! Woah I love the sound of banana ketchup and filipino style spaghetti. 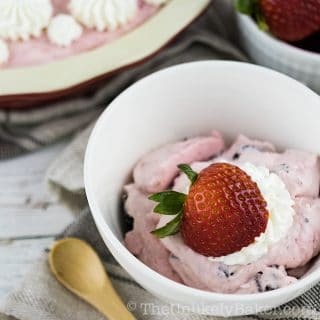 It is interesting that it is sweeter than your traditional spaghetti dish and it is something that I am very intrigued to try too! Thanks Ruth! Or you could cook some Filipino style spaghetti for her out of the blue 🙂 That would be quite the surprise! I love pasta and this one sounds delish! I’m going to bookmark it for after the crazy busy holiday season! This sounds so good! I love pasta and this sounds like the perfect dish! 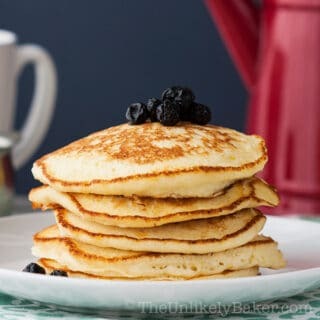 Mmmm, this is a mouth-watering recipe. My family would love this. That certainly sounds like an interesting variation on classic Italian spaghetti. I would love to try it at least once! Where is the time going? I’m not quite in Christmas mode yet, but getting there. And I totally get that Sheldon reference…one of my favourite shows!! We always watch the marathon that is on during the holidays. This spaghetti sounds super interesting, Jolina…and on the sweeter side you say? I would love to try it! Love the cheddar cheese on top! That’s the icing on the cake…or, er, cheese on the spaghetti 😉 Have an awesome week! Hi Dawn! I usually smother mine with cheese teehee. Love that stuff. When I saw that Big Bang episode (I love how he says it I-talian haha) I immediately thought OMG we like the same kind of spaghetti we’re totally friends LOL. Happy Sunday!